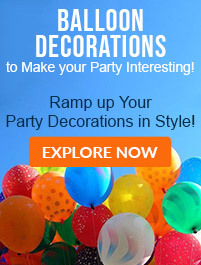 Premium Gifts can redefine your gifting experience for special occasions and festivals. We have come up with some spectacular premium gifts that consist of the best-selling flowers, cakes, chocolates, combos, personalized products, etc. 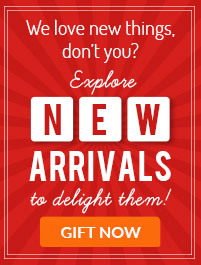 Check out these gifts and pick up just the best ones for your near and dear ones! Gifts are not merely the items but an expression of our feelings and emotions for our loved ones. They say what words fail to convey in the most loving manner. From festivals to weddings and birthdays to gatherings, all the occasions are marked with lovely gifts to make them magical and memorable for your dear ones. When it comes to ordering presents for the people close to your heart, you always look up for unique and extraordinary items. That’s why Ferns N Petals has come up with an exclusive range of premium gifts to help you offer something thoughtful to your friends and family members on their major occasions. To impress your girlfriend on Valentine’s Day, you can order a mesmerizing flower bouquet or rose teddy arrangement for her. Or to delight the heart of your boyfriend on his birthday, you can order online a scrumptious cake or luxurious gift hamper for him. 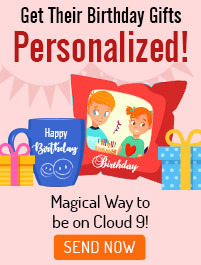 We have plenty of premium online gift options that are perfect to brighten up the special days of your loved ones and make them feel on top of the world. Our charming and mesmerizing premium gifts will hypnotize their senses and convey your deep love and concern towards them in the best manner. Our Premium Gifts service offers you a collection full of wonderful gift ideas. For him, we have different bar accessories like an electric cocktail mixer, wine rack or an ice bucket and lot more to mention. For her, we have fashionable jewellery sets, leather handbags, canvas totes, and designer wrist watches, etc. If you are looking for home décor, then we have some electronic gadgets like air fryer, DVD system, music system, bed linen, devotional items, and devotional idols. We also have a beautiful collection of lamps as gifting home decor item. For your corporate gifting, we have different and great ideas like electronic gadgets – power banks, wireless chargers, Bluetooth speakers, beautiful pens – Parker or fountain and many more. 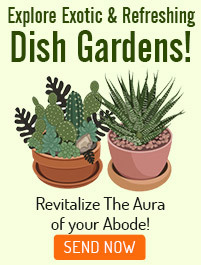 We also have several gift cards available for gifting purpose. 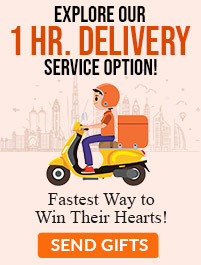 Our delivery system ensures you a delivery within 3 hours to the provided address as soon as your order gets confirmed. We also deliver on holidays. 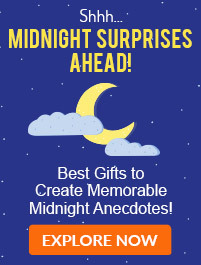 For a midnight surprise, we also have a special midnight delivery system. We offer safe and easy payment option which takes only a few minutes. You can use a debit/credit card, internet banking or mobile wallets to make your payment. Gift hunting can be quite tough, especially when you are in search of something impressive and creative for your special ones. Because you don’t want to let go of the opportunity to make them feel loved and cared. Ferns N Petals brings to you a wide collection of premium gifts that are filled with expensive gift items of high-quality that will be worth the happiness of your dear ones. Raging from lavish floral arrangements to luxurious car décor and extravagant center table floral arrangements to flowers and teddy combo, you can choose anything as per your preference and budget to send your loved ones at their doorstep through our exemplary same day and next day delivery service. You can also avail our midnight delivery for sending flowers, gifts, and cakes on the special occasions of your friends and family and add an element of surprise to their celebrations that they can cherish forever. We also deliver corporate gifts in Dubai that companies can order in bulk quantity to offer their customers, partners, and executives in festivals and promotional events. Mother’s Day is an opportunity for you to pamper your mom with loads of love and a fabulous Mother’s Day gift. There must be many qualities that you adore in your mom but never actually tells her. On this special day, you can convey your heartfelt emotions for her in the best manner that will help strengthen your relationship. Our category of personalised gifts for Mother’s Day includes cushions, mugs, photo frames, and photo lamps that are best to offer something memorable to your mom. It will make her realize that you put efforts to choose something unique & thoughtful for her. You can also find exciting Women’s Day gift ideas on our website like flowers, accessories, greeting cards, and home décor items that are best to acknowledge the wonderful women in your lives, be it your sister, wife, girlfriend, colleague or mom.